The timeline illustrates Spotify's revenues from 2012 to 2018, sorted by segment. 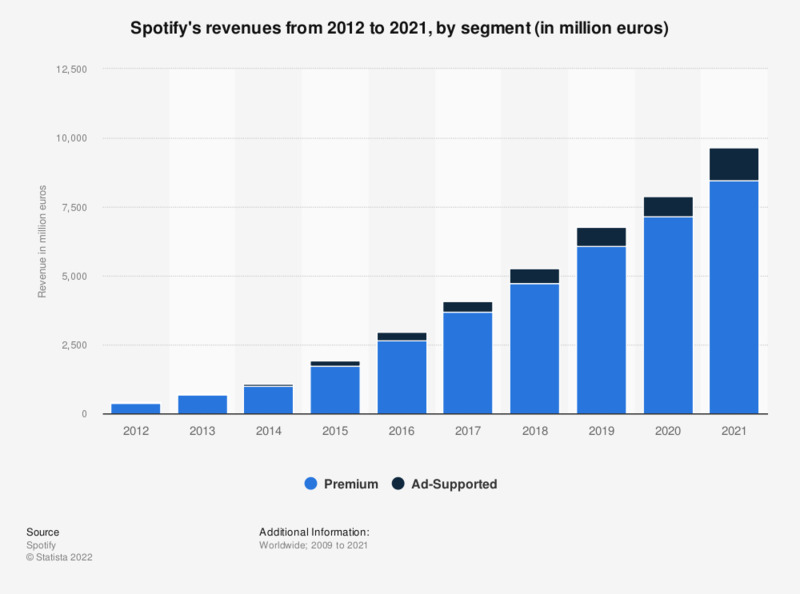 In the most recently reported fiscal year, the music streaming platform generated just over 4.7 billion euros in premium revenues. As of November 2018, the company had 87 million paying subscribers worldwide. Figures for years 2012 to 2014 were previously published by the source.